Over the years we’ve found that the projects with the strongest ideas pretty much design themselves. The more inspired the idea – the greater the momentum behind a project. And those projects tends to be quicker to develop too – great lesson for both commercial and creative enterprises. 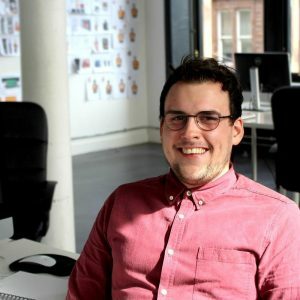 Last year – one of our team – Charlie Law won the prestigious ‘Marketing Society’s Star Creative Student Award 2016’ for a brilliant campaign to tackle gender equality with a brief set by The Scottish Government. The students were asked to develop campaign materials to raise awareness of the 50/50 pledge laid out by the First Minister – Nicola Sturgeon. 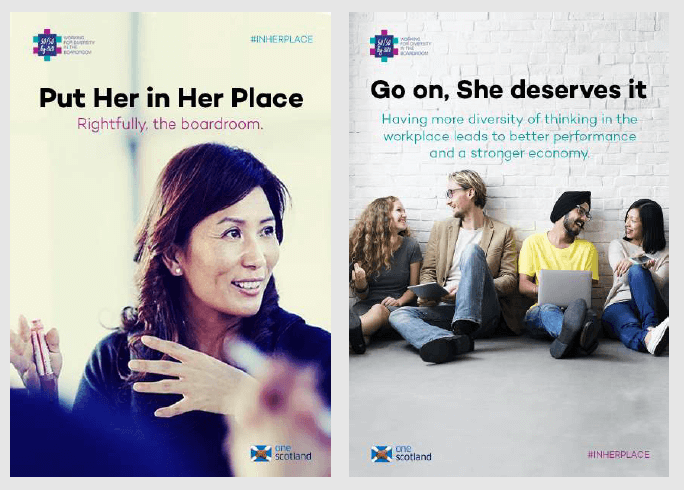 The pledge challenges all public, private and third-sector bodies in Scotland to commit to take action on gender equality, promising to get a 50/50 gender split on their boards of management by 2020. Charlie’s imaginative response to the creative challenge was the provocative ‘Put Her In Her Place’ campaign. The campaign is broken down in two parts – the first part shows a series of shocking statements being displayed both online and offline. The sinister use of text neatly accompanying the messages on display. However these ideas are flipped well and truly on their head when you see Part-2. If a campaign is designed to raise awareness of an issue – then this campaign goes above and beyond and then some. A rightful award winner. However, more than the quality of the idea, it is the boldness of the thinking behind it. We talk regularly in the studio about ‘pushing the limits,’ this concept really does dance on that fine line of greatness. We are so proud of Charlie, for what he has achieved with this project before he joined us and for the brilliant ideas he shares with us each and every day. This post was written by Benedetto but the star of the piece is Charlie Law. Charlie is one of the new-generation of designers – equally at home online/offline. He has a wonderful imagination and is at his best when dreaming up brave, bright and beautiful ideas in the many sketch-books that he keeps.